I have been remiss in my food blogging duties. 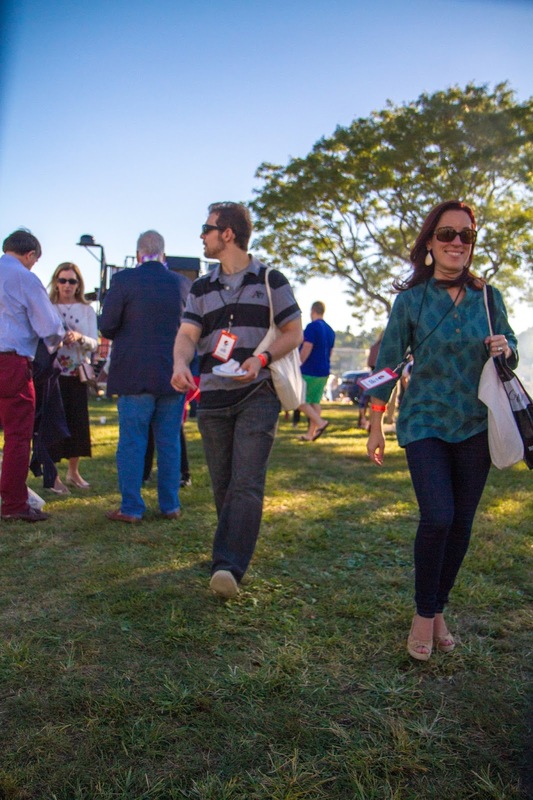 It's been over a month since the Greenwich Wine + Food Festival. (It's that darn day job again.) Well, the wait is over as I am finally ready to regale you with all the details of what I consider the event of the year. 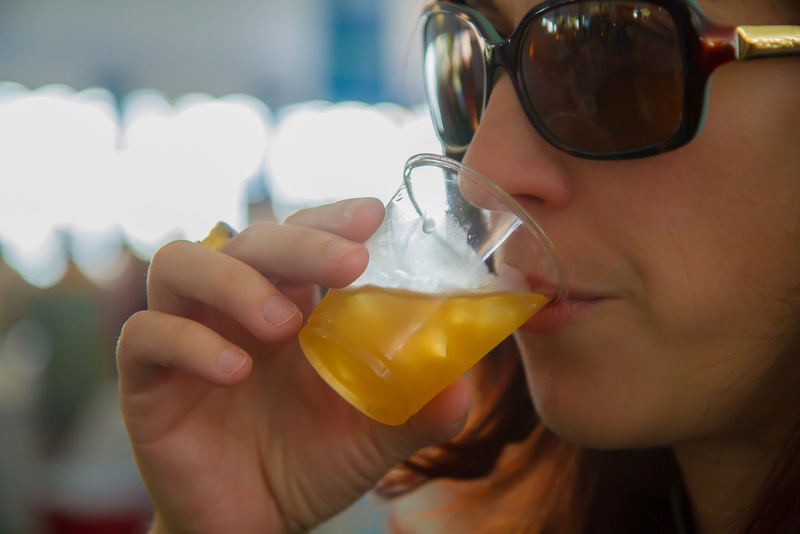 The Greenwich Wine + Food Festival is simply not to be missed. It should be its own holiday, that's how much we love it. Every year we find ourselves saying, "this year was the best" only to attend the following year and somehow it's even better. It's a gloriously gluttonous affair. 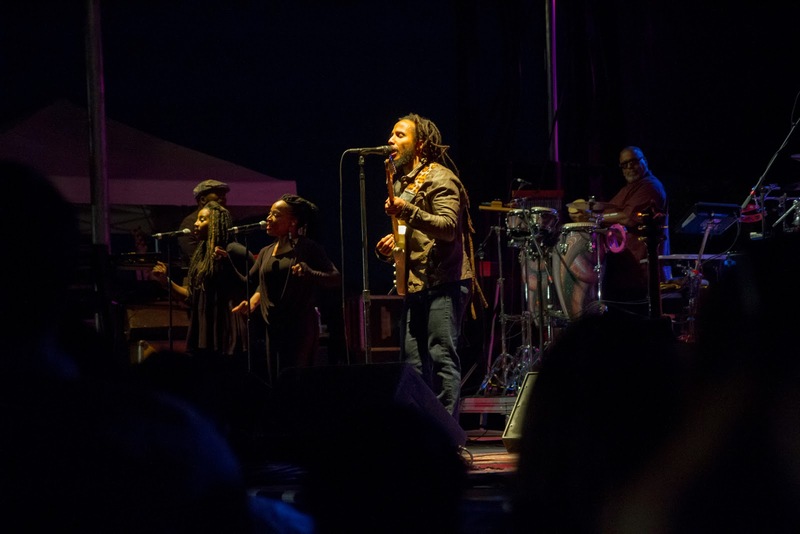 We noshed, sipped and indulged literally all day into the evening, where we were then treated to outstanding musical performances by Ziggy Marley and Old Crow Medicine Show. Here is a collection of this year's highlights. For the full photographic deliciousness, be sure to check out our GWFF 2016 Facebook album. I loved the Korean Chicken Sando from The Pine Leaf in New Milford, CT. 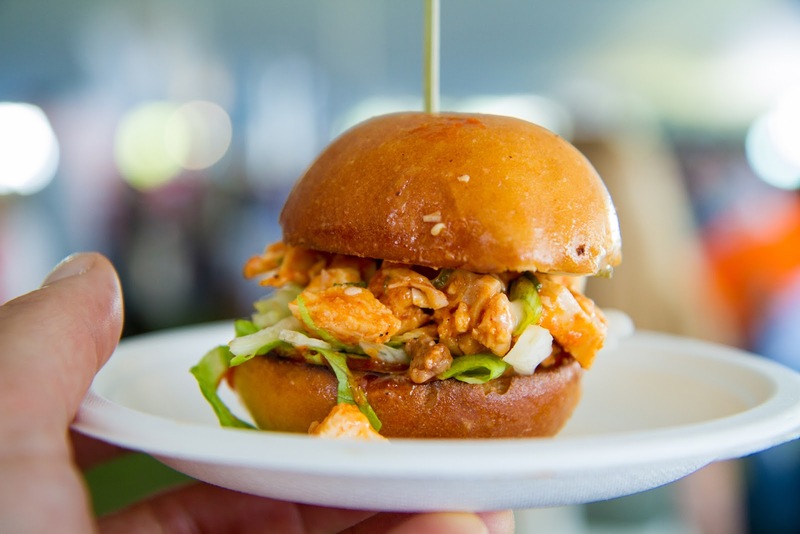 It had chicken marinated in gochujang, brown miso and yuzu juice piled onto a buttery brioche bun with homemade mayo, pine leaf pickles, scallions and sesame seeds. Since Teff Restaurant opened in Stamford in 2015 it's been on our "Need To Try" restaurant list. 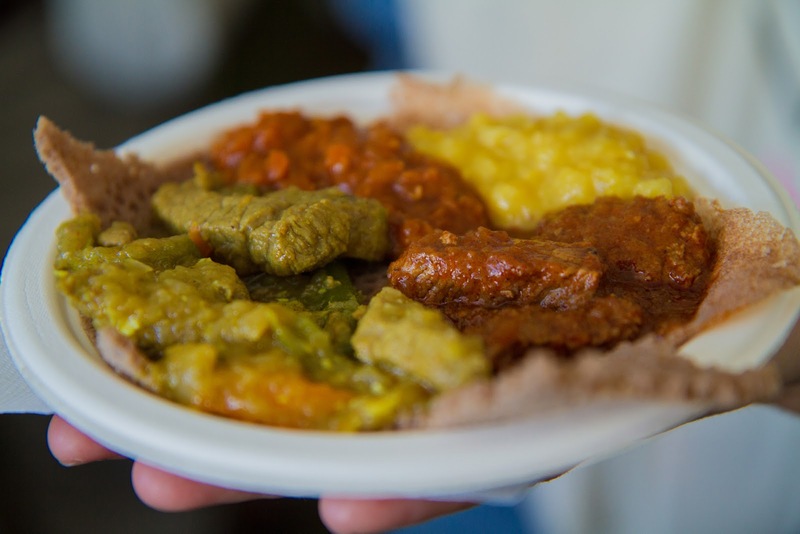 We've never had Eritrean + Ethiopian cuisine, so it was awesome to see them at GWFF where we were able to sample a few different things. I really liked the spices and especially the teff (the bread). Definitely need to pay them a visit soon. Fjord Fish Market is renowned for their premium, responsibly-sourced seafood. 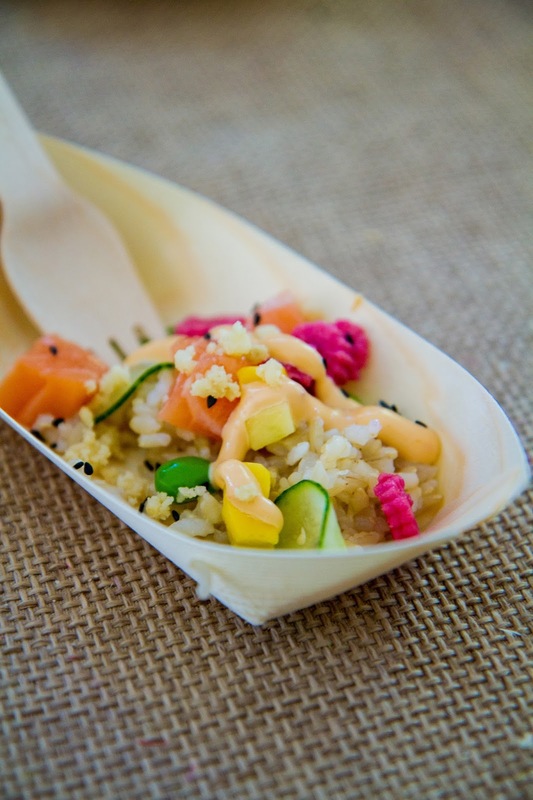 They showcased some raw salmon in a delightful Hawaiian Poke with spicy mayo. Given our love of tacos, you know I had to include at least one in this post. 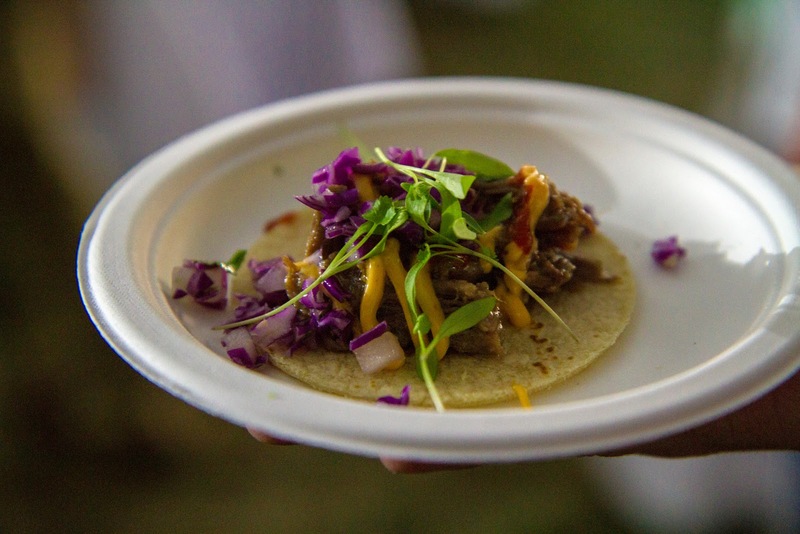 We gave a big thumbs up to Hapa Food Truck for their Korean Short Rib taco with braised beef short rib, sesame Asian slaw and house aioli. Everyone swarms the burger competition tent because not only can you sample a slew of burgers but then you get to vote for your favorite. 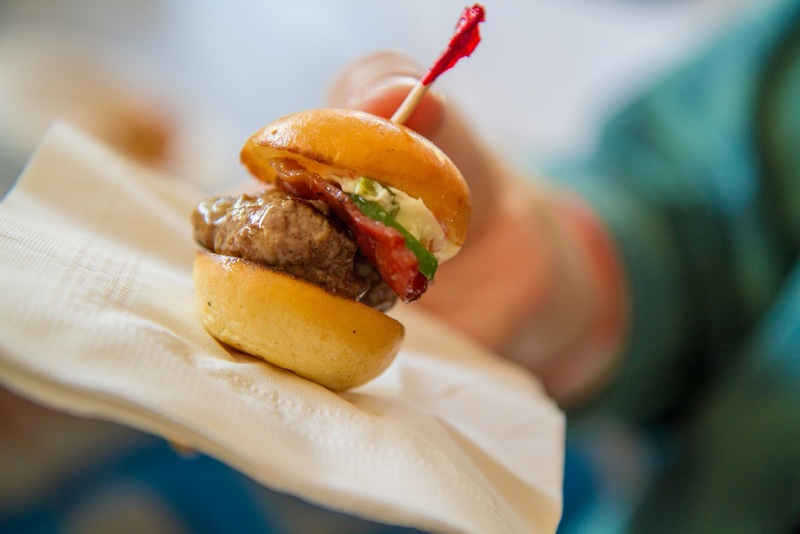 And, while Flipside Burger didn't win, I personally really liked their mini bacon cheese and jalapeno burger. 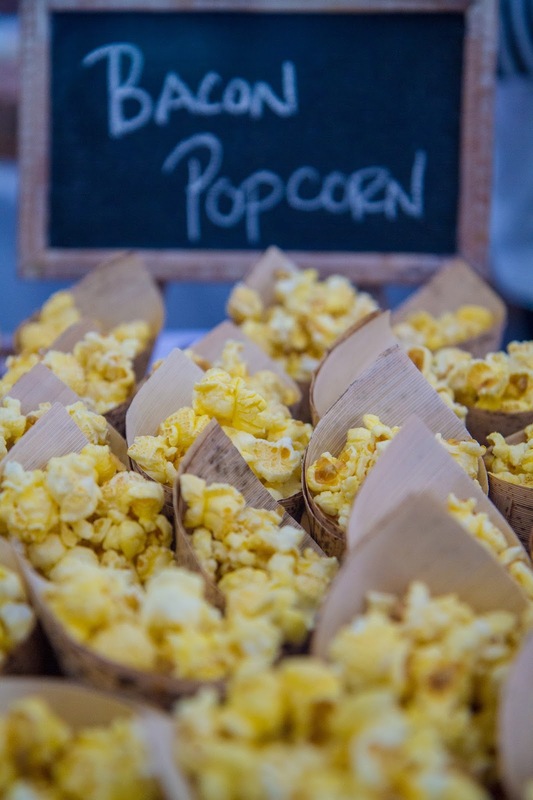 Speaking of bacon, the bacon popcorn from Cask Republic is a perennial favorite. 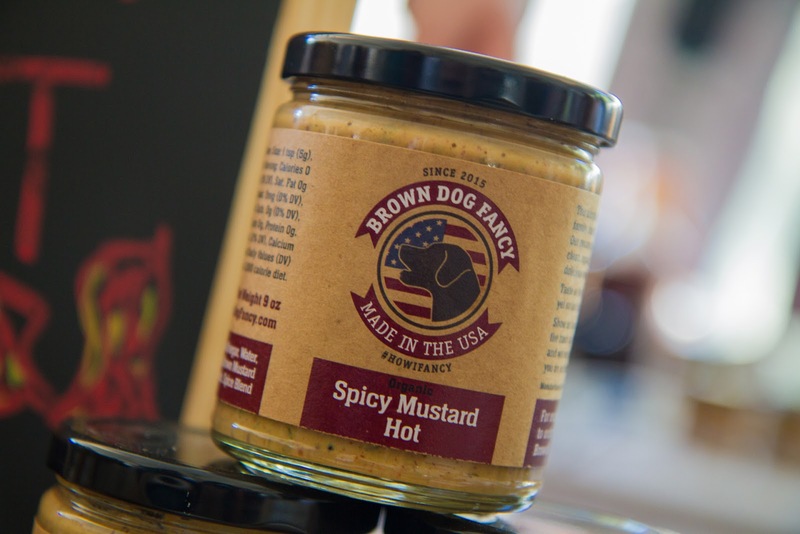 Brown Dog Fancy is one of my best discoveries from the day. I tried the Spicy Horseradish Mustard and Spicy HOT Mustard. Loved them both, bought a jar of the Spicy Horseradish to bring home. They have a full line of mustards and are working on ketchup too. I highly recommend you check them out. Yes, I could have shared a photo of the taco from Bodega Taco Bar. 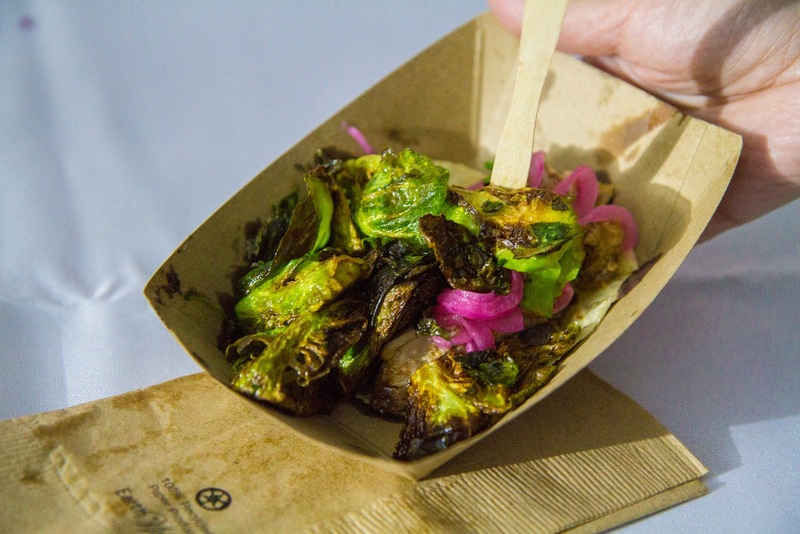 Instead, I'd rather share a photo of their famous blistered Brussels sprouts. I could not get enough of them! 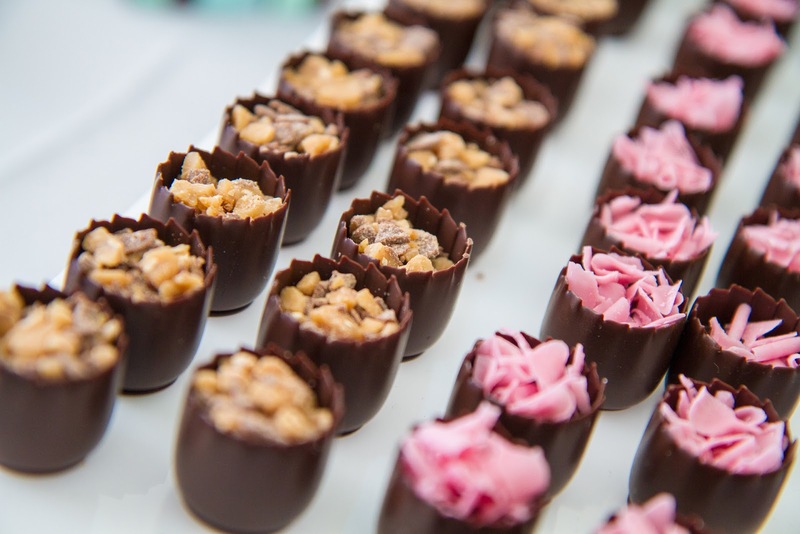 Blue Tulip Chocolates creates luxury treats that are as beautiful as they are delicious. They showcased a variety of what I like to call bite-sized dreamy confections. If I could have taken handfuls and stuffed them into my mouth without being judged, well, I might have just done that. No doubt, their creations would make wonderful gifts. I did take a break from the fatty, meaty and carby goodness for a salad from b.good. 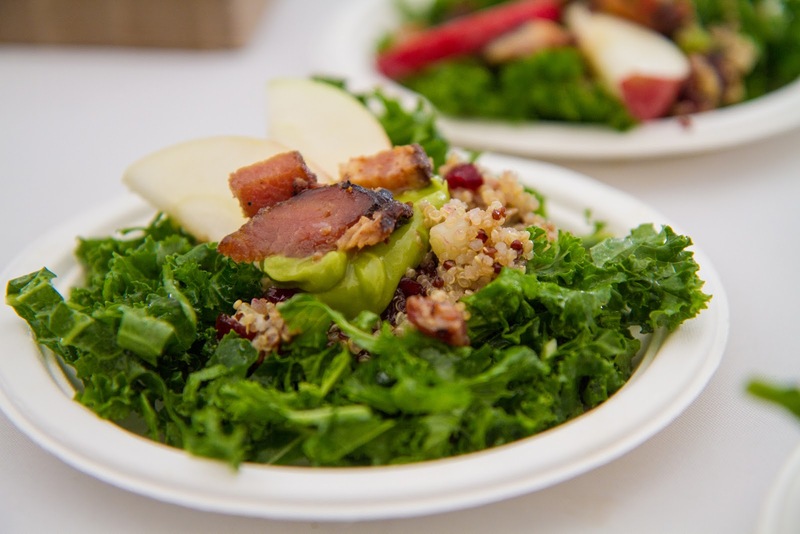 It was loaded with kale, apples, bacon, quinoa, avocado and dried cranberries. 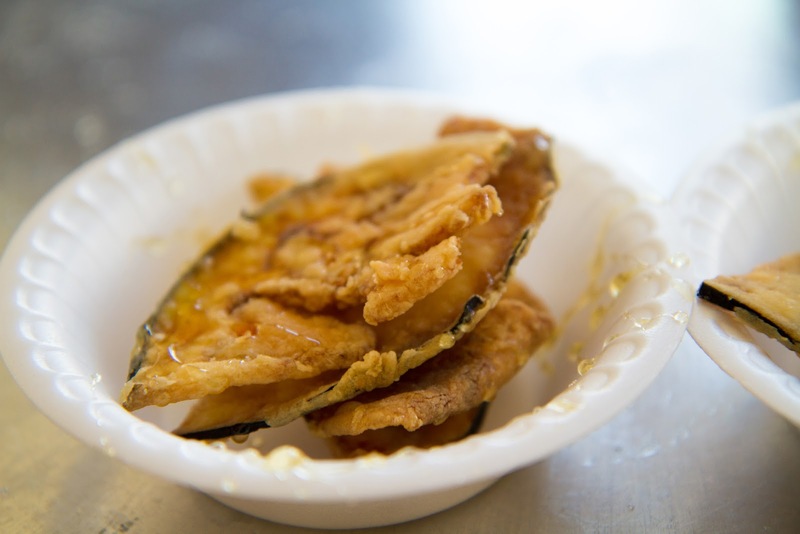 Polpettina was serving up pieces of fried eggplant drizzled with honey. What a fantastic combination. At Polpettina they are all about locally sourced, high-quality ingredients prepared simply. This dish was a great example of simple yet delicious food. 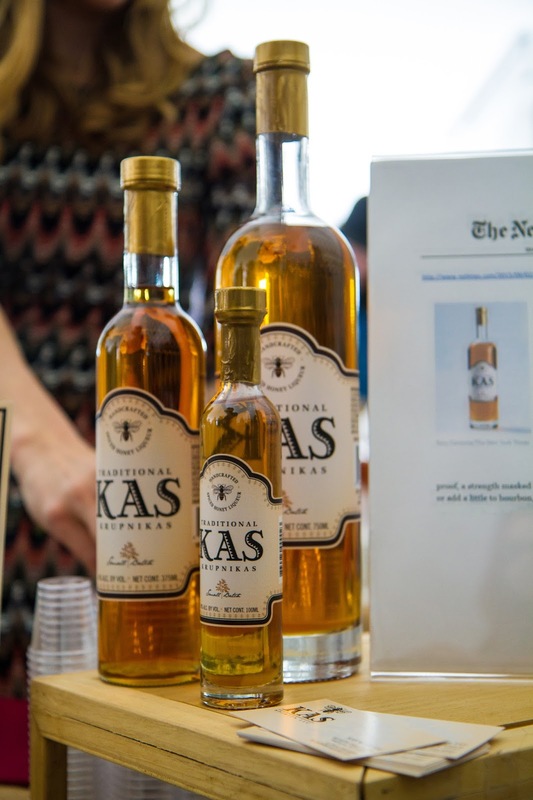 Kas Krupinkas was another discovery from the day that has stayed with me. Krupnikas is a sweet alcoholic drink that is popular in Lithuania as well as Poland. It's made with local honey and a secret family blend of spices. Made in Mahopac, NY this family-run business opened in 2013. It is all hand bottled and labeled. It's a sweet liquor that is wonderful to sip on its own, but that also pairs well with bourbon and brandy and foods like intense cheeses. And, here's a round-up of the day's competition winners. Burger Battle: Cask Republic won the Judges Choice. 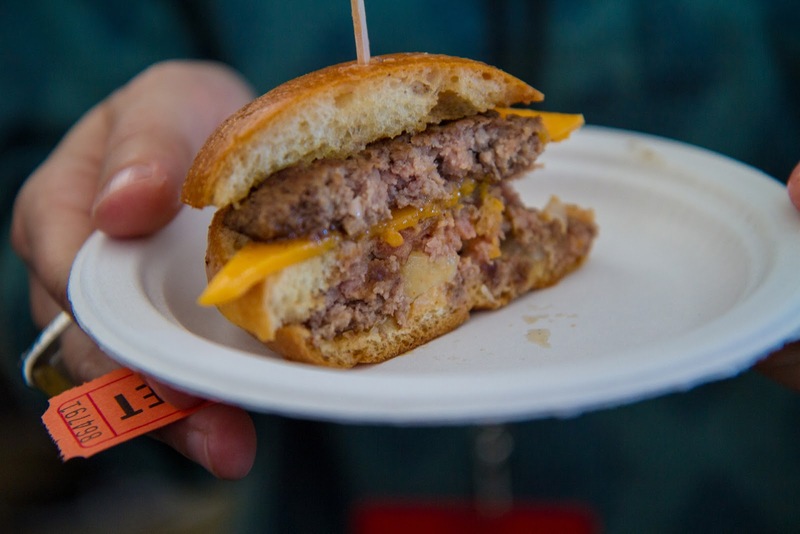 Bareburger (pictured above) won the People’s Choice vote. 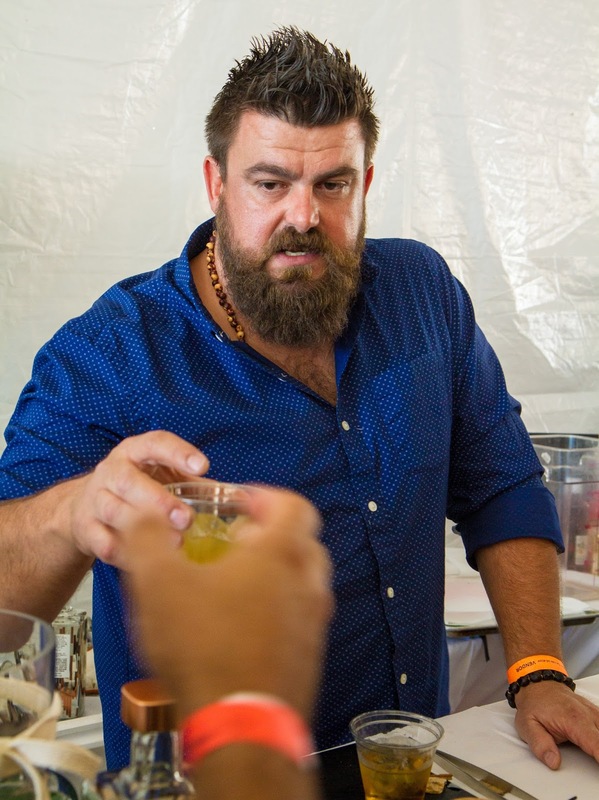 Top Bartender Showdown: Eastend won the Judges Choice. The Ultimate Sandwich Takedown: Judy’s Bar + Kitchen won the Judges Choice. 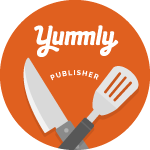 Of course, in addition to stuffing our faces with amazing food and drink, there were a lot of other things to do throughout the day like check out recipe demos and book signings. 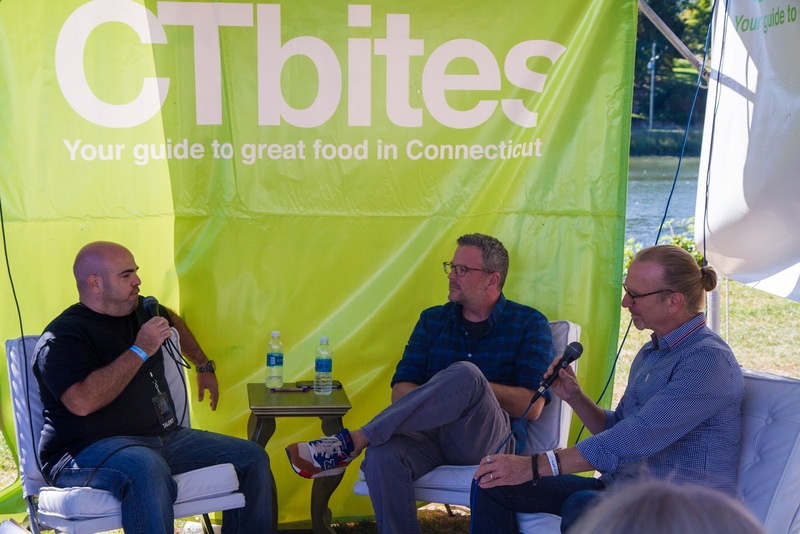 Plus, at the CTbites blogger tent, we enjoyed some insightful and fun interviews with local chefs. Thank you so much to Serendipity Magazine and Shelley at Splash PR for once again inviting us to this amazing event. Let the countdown to 2017 begin!